A list is a collection of vertically-arranged cards. They may represent a collection of ideas, things to remember, or different stages of a workflow. 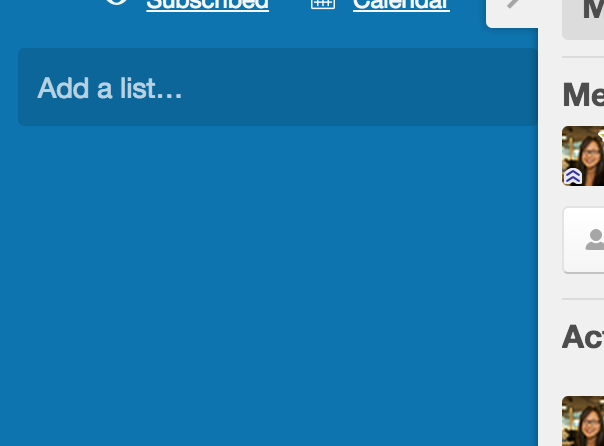 Add a list to a board by clicking the "Add a list..." button next to the rightmost list on the board. 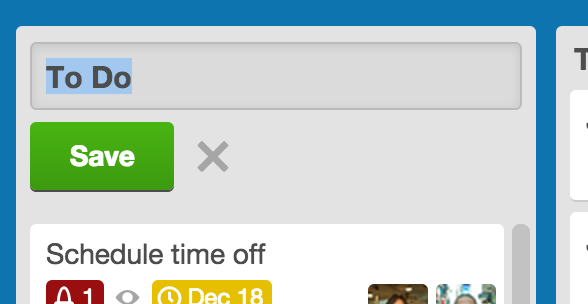 You can also add a list by double-clicking any open space on the board. 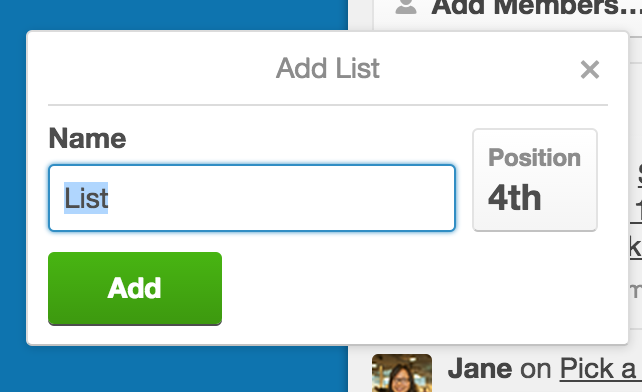 Click "Add a list..." or double-click any open space on your board to add a new list. You can also move lists by dragging them left and right. Change a list name by clicking the name. Click and drag a list to move it to a new position. Rename a list by clicking the list's name.